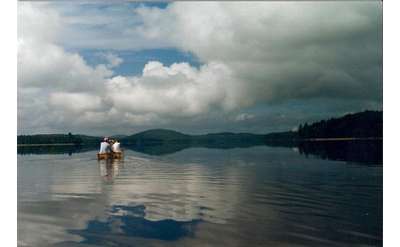 Go Canoeing in the Adirondacks! Canoe Rentals, Sales, Guided Tours and More! Long before there were roads, the Adirondacks' many rivers, lakes and streams were the preferred method of travel through the wilderness. Today, several Adirondack companies offer canoe rentals and/or guided canoe tours, where you can experience paddling flat waters while enjoying the beauty of the surrounding mountains. Ready to buy a canoe? You can purchase canoes from several area outfitters.